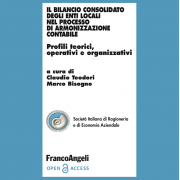 This paper offers, on the grounds of the experience gained within the Basilicata Region, a critical analysis about the external financial audit of Regional Health Service consolidated statements. 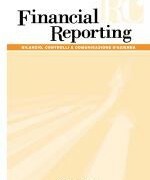 After a brief description of the process, followed by the Basilicata Region, to prepare health-care organisations for an external financial audit, the article explores the main institutional and methodological issues to be tackled in the preparation of region-wide consolidated financial statements. The findings highlight that the current lack of guidelines and clear institutional choices makes it difficult to properly define the auditor’s engagement for the financial audit of region-wide consolidated financial statements. The paper concludes by suggesting a few possible solutions. The aim of this paper is to present a critical overview of the international accounting standards on public sector consolidated financial statements (IPSAS 6, 7, 8) to verify whether the standardization process takes into account the information needs of governments’ stakeholders. On this basis and through the analysis of case studies, some guidelines and a consolidation method (named “territorial consolidation method”) have been identified to develop an external multi stakeholder perspective. The two methods of consolidation are applied to a case study to compare them, highlighting how the concept of “benefit and control” could be adapted to the public context, leading to a clearer representation of governments’ results.